Note the tiny windows and half door. 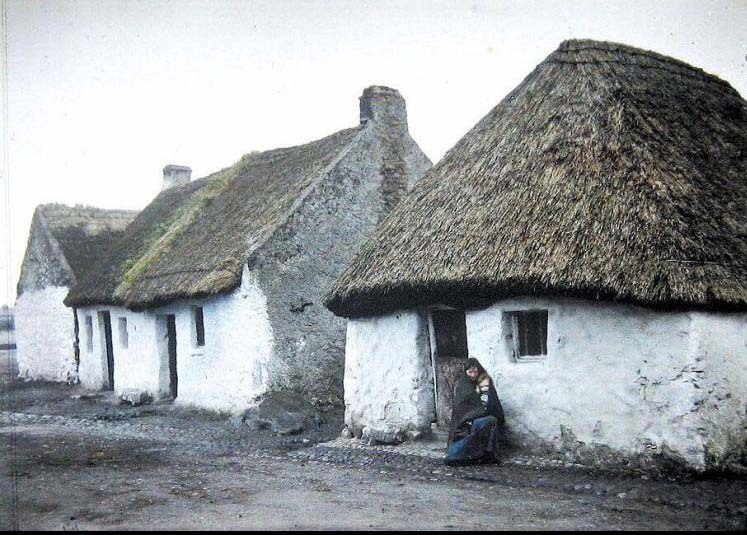 Governing Laws of the time placed a tax on window light, hence the reason for the very small and few windows in traditional Irish rural homes. The tax was the origin of the term "daylight robbery". The half door was a clever method of beating the tax. Irish cottagers would open the top half for light and keep the bottom half closed to keep chickens and other animals out.